Costa Rica is a country of amazing diversity. It boasts mile high volcanoes to sandy beaches and everything in between. When coming for a Central American vacation, you could very easily post up in one of Manuel Antonio beach rentals, or one of the many other beautiful little beach towns, and have a perfectly relaxing and enjoyable vacation. However, if you are the adventurous type, and want to see some of the best that Costa Rica has to offer, we suggest the following five Costa Rica experiences. National Geographic has called the Osa peninsula the most biologically intense place on Earth. 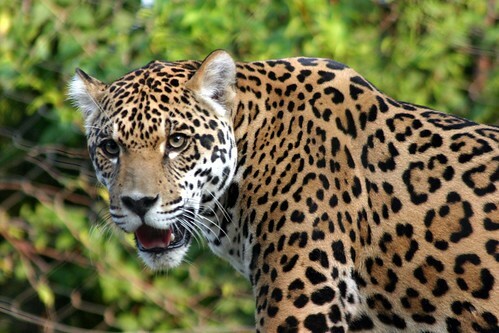 Much of the peninsula is protected by the Corcovado national park, and the Osa is one of the few places where jaguars and pumas roam free. Home to nearly 400 species of birds, 140 species of mammals, over 100 species of reptiles and over 6000 species of insects – it’s a naturalist dream. However you don’t need to be a scientist to appreciate the Osa’s unspoiled beauty. Much of the peninsula is off the grid and it can be challenging to get there. However, if you want to experience intense unspoiled Costa Rican tropical forest, then the Osa is for you. For surfers, Pavones is considered the second longest left in the world, which alone makes it worth the pilgrimage. 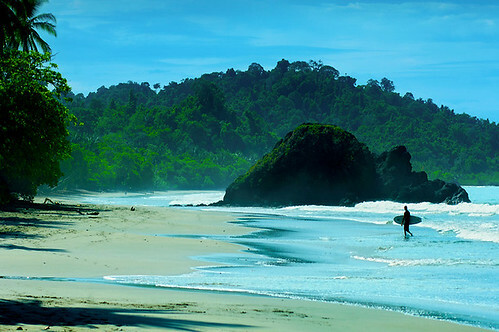 Many people consider Manuel Antonio National Park the most beautiful place in Costa Rica. It is certainly one of the most photographed. Manuel Antonio’s white sand beaches and thick tropical forest make it a favorite for ad campaigns by the Costa Rican tourist board. 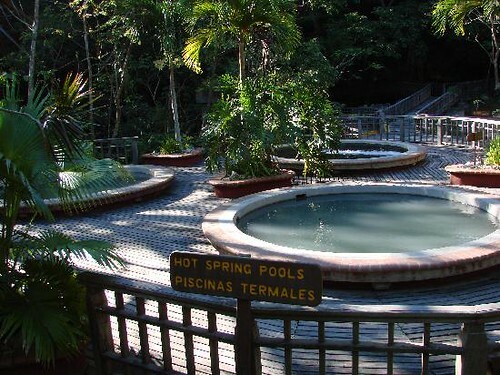 Although the park is accessible from the capital San José, it is still relatively undeveloped. In order to secure the best accommodation, we recommend you skip the small tourist hotels and opt for Manuel Antonio rentals. The price will be comparable to a hotel for groups of four or more and a Manuel Antonio rental makes the perfect base camp to explore the park. To make this list, a place has to be unique. 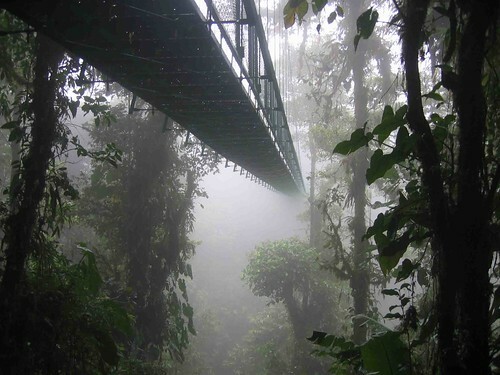 The Monte Verde Cloud Forest is certainly that. It is comprised of six ecological zones, ninety percent of which is virgin forest. A visit to the forest begins with a tour that starts on the ground before taking to the trees. The park’s suspension bridges allow visitors to walk through the canopy with the freedom to stop if some creature captures your interest. The park can have a somewhat eerie feel at times as the moisture from the clouds dampen sound. The effect is to make you feel alone even when the park is quite crowded. A visit to see the giant leatherback sea turtles nest on Playa Grande is a one of a kind experience. There are only a few nesting habitats for these ancient reptiles in the world and leatherbacks return to the beach where they were born. The leatherback can reach lengths of up to eight feet long and weigh up to 1500 pounds. 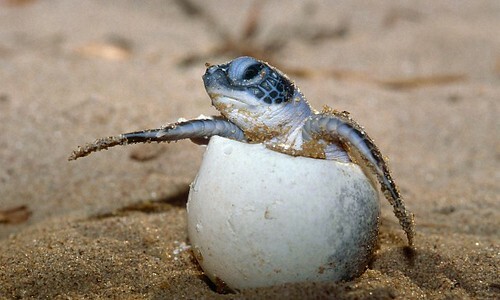 Guided tours to see the turtles come ashore to lay their eggs are available in the Marina Las Baulas National Park. While in the area, Playa Tamarindo makes an excellent destination for dinner and nightlife. Seeing an active volcano up close is a memorable experience. The sheer power of the Earth making to new land can be breathtaking. However, as amazing as that experience may be, it is even better if after seeing the volcano, you soak in a volcanic hot spring, then move to the volcanic mud baths, all the while sipping your cold beverage of choice. In addition to the volcano, hot springs and mud baths, the area resorts also offer horseback riding, guided hikes and canopy tours. 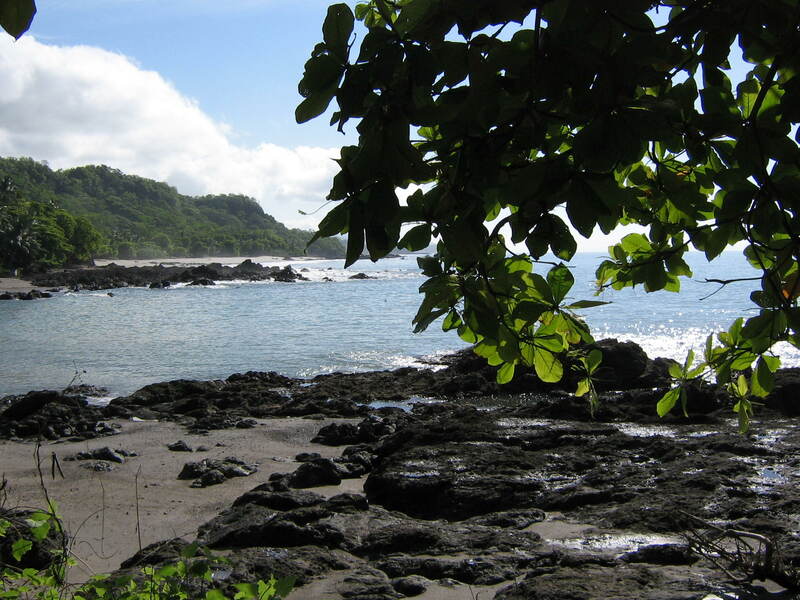 Costa Rica enjoys incredibly diverse terrain located in a small area. Take advantage of this diversity and visit some of the unique places on this list. It will make Costa Rica more than just a beach vacation. Manuel Antonio Vacation Rentals is the premier vacation rental company in the Manuel Antonio Area. Representing only the highest quality homes and providing unparalleled client service, Manuel Antonio Vacation Rentals will help you plan an adventure vacation of a lifetime. As Manuel Antonio’s most respected vacation rental company, we pride ourselves on attention to detail, and quality of service. Let us help you plan your tropical dream vacation, and provide you a stress free visit to paradise. Central America is renowned for many things: its volcanic activity; its wildlife; its beaches; its Maya ruins and its sunshine. But as a city break destination? However, in my opinion, no Central American holiday is complete without experiencing the hustle and bustle of its urban centres. Central American experts TrekAmerica are obviously of that opinion too because its tours take in many of the best cities in the region, including Antigua, Leon, Granada and San Jose. Here’s a guide to why these should feature on your Central American too. 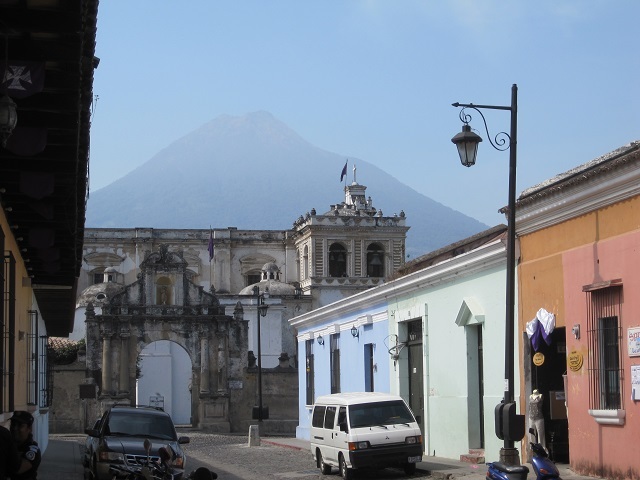 Nestled in the central highlands of Guatemala is the city of Antigua. Although it isn’t the capital of the country, Antigua is much more tourist friendly than Guatemala City and has plenty to keep any visitor interested for the duration of a short stay. Even before we get onto the business of its Unesco World Heritage centre, one of Antigua’s biggest draws is the simply stunning backdrop formed by the triumvirate of volcanoes de Agua, de Fuego and Acatenango. The contrast between the small buildings and these mighty peaks is breathtaking, and a stark reminder that for many of the residents of Central America, the threat of an eruption is always hanging over them. In town itself, you’ll find ancient ruins, pretty churches and chocolate makers, as well as a number of museums worth a look. 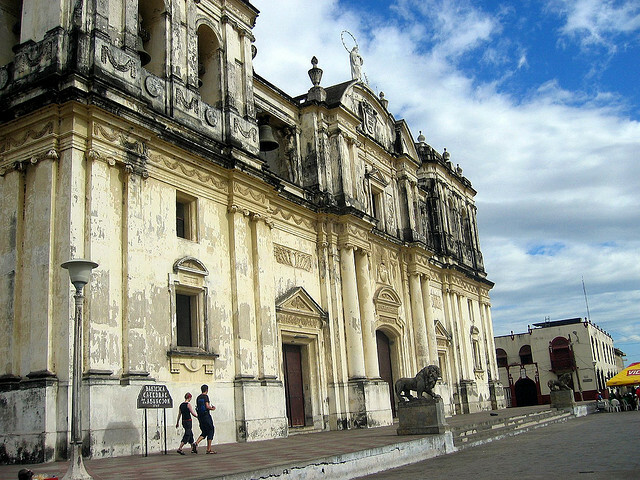 Assuming most people know more about the Luc Besson film than Nicaragua’s second largest city, Leon is a city of 175,000 people situated in the far west of the country, just 18km from the Pacific Ocean. Leon’s main draw is its Spanish colonial architecture, with a number of spectacular and colourful examples of 18th century design dotted around the city. One of the most impressive is the Unesco World Heritage Cathedral of the Assumption, which was completed in 1814 and remains Central America’s largest. 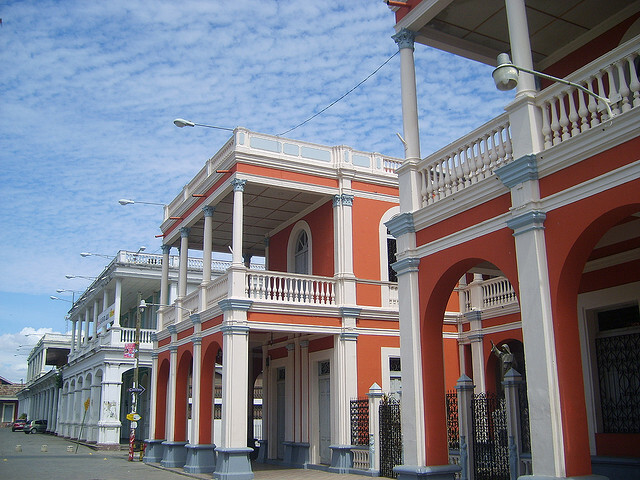 Further south, on the coast of the mighty Lake Nicaragua, is the city of Granada, reputedly the first European city in mainland America. Established in 1524 by Francisco Hernández de Córdoba, Granada, like Leon, has many wonderful examples of colonial architecture – its colourful buildings reminiscent of Havana in Cuba. And of course, it makes the perfect base for exploring what the largest lake in Central America has to offer. 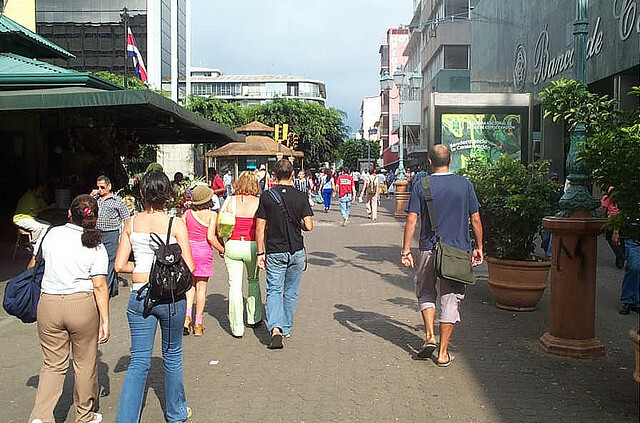 As the capital city of Costa Rica, San Jose unsurprisingly has much to offer tourists, packed as it is with museums, restaurants and bars. Visit the National Museum of Costa Rica housed in a spectacular ochre-coloured fortress bearing scars of the civil war in 1948, which led to the abolishment of the country’s military, or check out a performance at the National Theatre. There are also a number of parks to explore and a zoo, if the weather is good. The biggest park is La Sabana, which has been nicknamed ‘the lungs of the city’. As well as plenty of green space to enjoy, it is also home to Costa Rica’s national stadium and art museum. San Jose is a great place to end your Central American tour if you’re not planning on visiting Panama, as it has its own international airport, allowing you to catch a flight to the USA for connections to Europe. We hope this Central American City Travel Guide was a bit insightful, and there are plenty more great cities in the region to explore, these are just great home bases for further exploration! 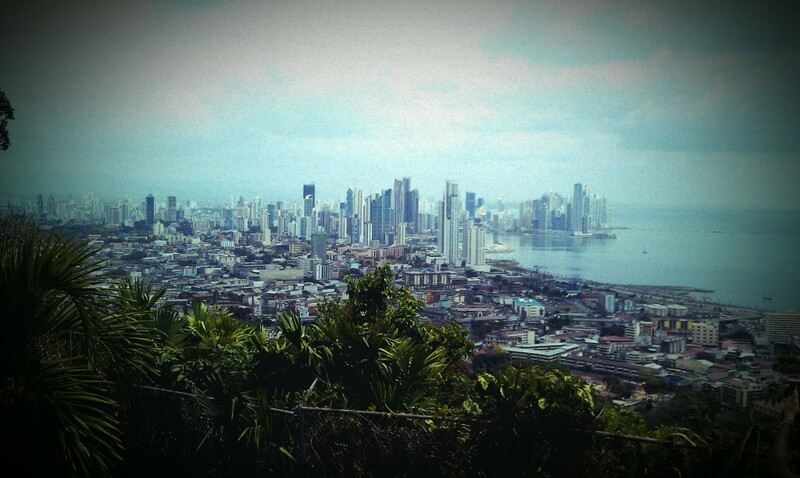 I traveled to Panama in early 2012 and started my trip in Panama City. A sprawling metropolis that looks more like Miami than Miami itself, Panama City is a world class city that has something for everyone, from deep historical roots to soaring glass skyscrapers and top-notch nightlife. I took a tour of the city, and one of the coolest places I went to was atop Cerro Ancon (Ancon Hill) which is a 654 foot hill right in the middle of the city. What’s cool about Ancon Hill besides the stunning views of the city below is that it is undeveloped and truly a jungle oasis in the middle of a bustling city. The reason it was never built up is because up until 1977, the hill was actually governed by the US as it was part of the Panama Canal Zone. Panama decided to keep it pristine upon gaining control and since has made it a protected area. You can even still see exotic jungle wildlife living on the hill including sloths, exotic birds, condors, eagles, tamarins (small monkeys) and deer. If you make it to Panama City, then definitely head to Ancon Hill to take in the amazing panoramic vistas, you won’t be disappointed!